I've been busy finding some wonderful DIY (do it yourself) Super Bowl decoration ideas for the upcoming game! I just had to share some of the amazing ideas I have come across. Maybe you will find something here that you will be inspired to try yourself! This amazing idea from Hatter and Hare Events is achieved by painting a glass vase with chalkboard paint and then chalk drawing a football play! 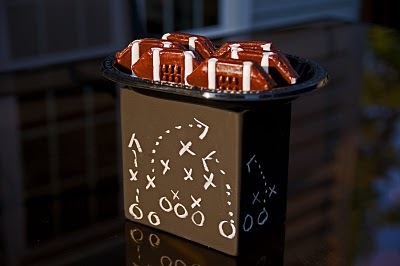 As pictured, this is a great idea to display a plate of snacks like the football brownies shown. 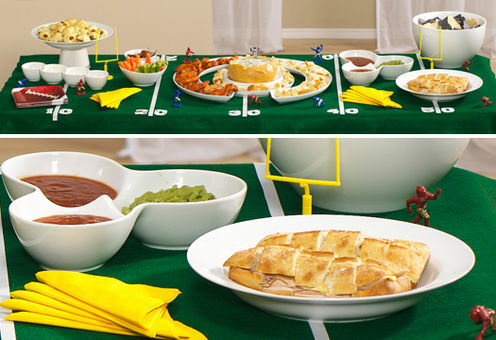 I love the idea of a DIY football field tablecloth! Hostess with the Mostess describes how some green felt, ribbon, and varsity numbers can make a fantastic piece of decor. 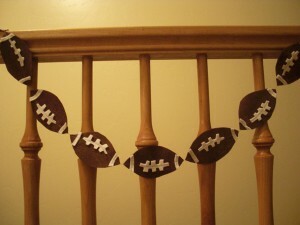 I found this idea from MirandaMade.com and I just think it is great for the big game day! 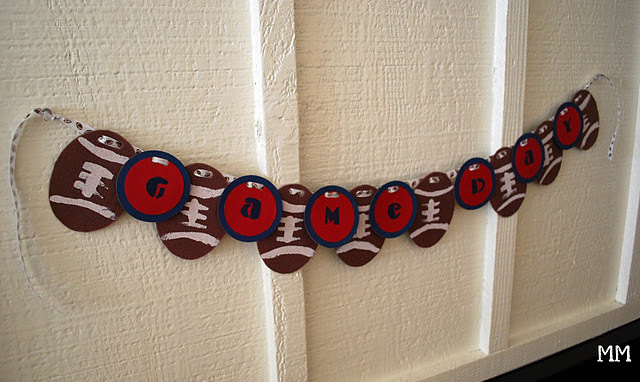 She goes through how to do this game day banner step by step, and the best thing is the materials needed are wallet friendly! 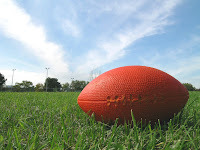 The Super Bowl I watched I was pregnant with my son. It was the day before my very first OB appointment with. My son will be 10 in August. So ya guess it's been a while. However these are adorable decorations. Maybe since my son loves football I should let him have a mini Super Bowl party here at the house with his friends. That sounds like a fun idea for your son!